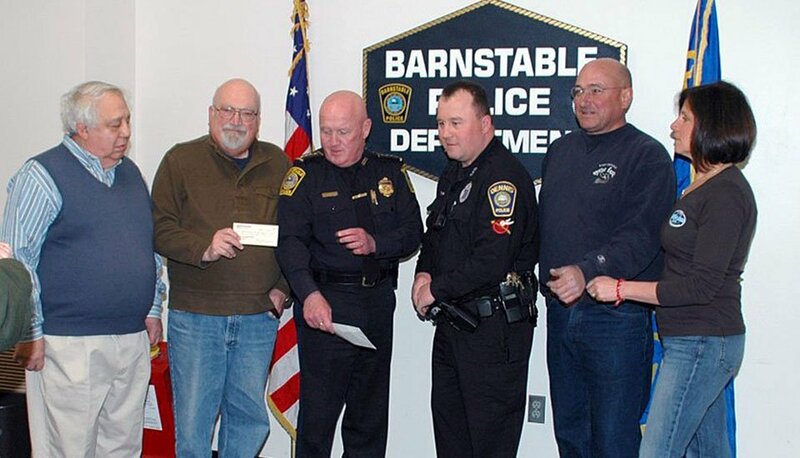 Monday, April 1, 2014 the reward checks from BARS and John and Stephanie Lowell, owners of East Dennis Oyster farm were presented to officers from the Barnstable and Dennis Police Departments. From left to right, Don Capobianco, Treasurer of BARS, Ron Glantz, President of BARS, Officers from Barnstable and Dennis, John Lowell, Stephanie Lowell. The reward was for information leading to the arrest of those responsible for thefts of oysters in Dennis and Barnstable. The full story can be read on the capenews.net site. The state Department of Public Health is seeking to revoke the permit held by Joe’s Lobster Mart Inc. on Canal Road to engage in the retail and wholesale processing and/or distribution of seafood. The state agency further is seeking to revoke the corporation’s certification for listing on the interstate certified shellfish shippers list. Read the whole story here.